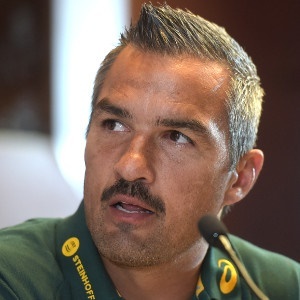 Cape Town - The Springbok Sevens team will be aiming for success in the World Rugby Sevens Series, Commonwealth Games and Rugby Sevens World Cup in the next year, but Blitzboks coach Neil Powell maintains they will approach each of those with the utmost respect and will take nothing for granted. “We are aiming to be successful in all three,” said Powell. “Each of those will have unique challenges, so we will have to treat each on its merits. It all starts in Dubai on Friday and we must focus on the first things first. Powell knows a strong start in Dubai will go a long way in setting the tone for the busy season. “A strong start here will give us confidence and momentum going into our home tournament in Cape Town next weekend, so we will be looking to build a solid foundation here,” said Powell. The Blitzboks are defending champions in Dubai and the World Rugby Sevens Series, and know they can expect a huge onslaught from all their opponents, but Powell is happy with his team’s preparations. They face Uganda, Kenya and Canada in Pool A on Friday. “We prepared well and the guys look hungry. I am a bit nervous myself, but perhaps that is a good thing,” Powell said.